A guy walks into a hardware store. He finds a quarter inch drill bit and buys it. But he didn’t need a quarter inch drill bit. He needed a quarter inch hole. People don’t care about your company, your mission statement, your philosophy, or even your product service. What they care about is solving their problems. In fact, 8% of all Google search queries are phrased as questions. People aren’t always searching for your specific product or service – they’re asking questions and looking for answers. You need to be the answer to their problems. You can create things like customer personas, tiered pricing plans, and use some persuasive copywriting and slick marketingspeak. Or, just come right out and say it? That’s what we did on the Sensei Marketing homepage. We help solve problems such as low brand awareness, lack of lead generation and conversion, low customer satisfaction and customer loyalty, and so on. And now that you’ve identified your prospect’s problems, offer your solutions. 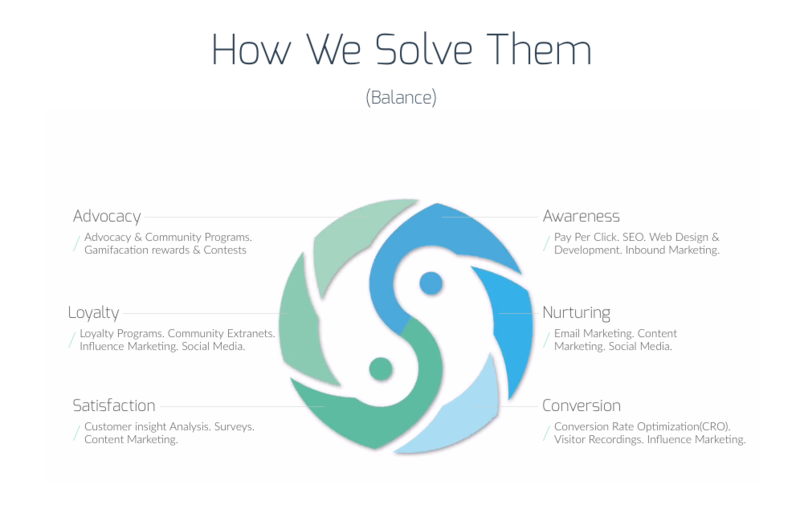 In our case, we solve our prospects marketing problems with balance – balance between awareness, nurturing, conversion, satisfaction, loyalty, and advocacy. 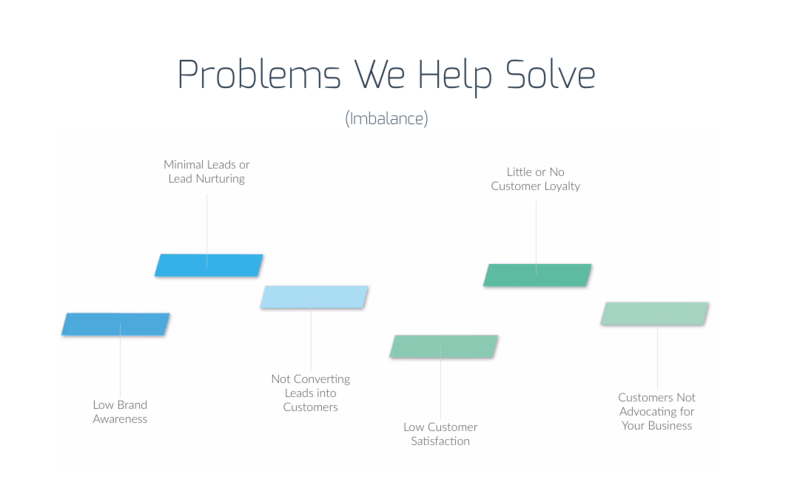 Striking a balance throughout the customer journey is the key to solving marketing problems, and for each of these stages we offer supporting digital marketing services. 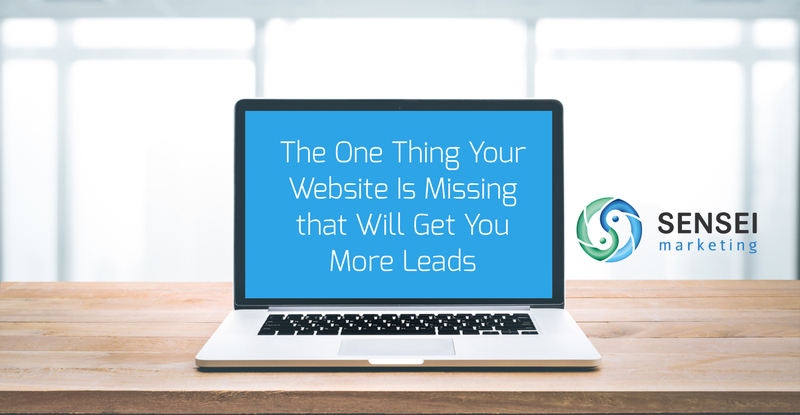 Remember, your website isn’t about your company, it’s about your customer. Don’t sell your company to your customer, sell the solution to your customer’s problem. So if you want more leads, focus on the quarter inch hole. Is Your Brand Naturally Predisposed for Success in Social Media?